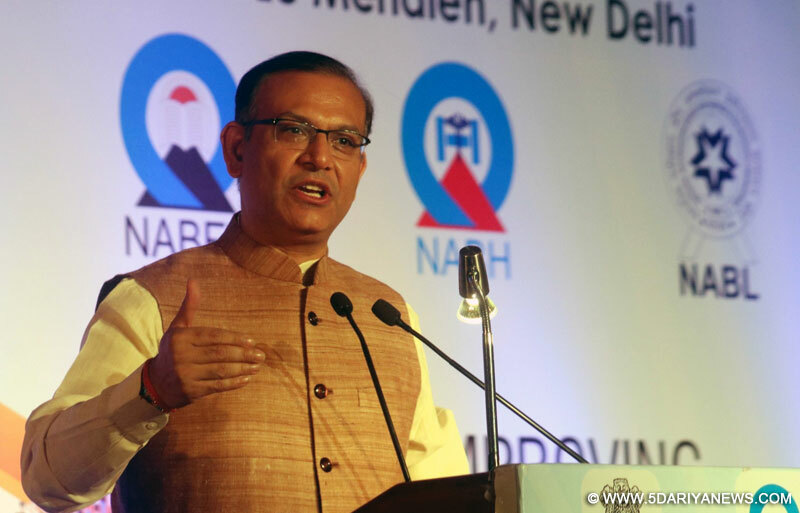 Union Minister of State for Civil Aviation Jayant Sinha on Friday said passengers of an Air India flight, which was diverted to Kazakhstan, were on way to their original destination of Newark in the US.In a tweet, Sinha said the government was monitoring the situation closely. His tweet came in response to one by Congress leader Shashi Tharoor, who shared the concerns of the passengers' relatives. "We were monitoring the situation closely. (The) flight took off at 1.30 a.m. IST (Indian Standard Time) for Newark," Sinha said. Tharoor earlier tweeted: "Attn @airindiain pax's relatives expecting explanations&updates from you. Please provide without delay! @jayantsinha. External Affairs Minister Sushma Swaraj said on Thursday that the passengers of the Air India (AI) flight were safe and there was no reason to worry.AI-191, which took off from the Chhatrapati Shivaji International Airport in Mumbai, was diverted to Kazakhstan for operational reasons, where it landed safely on Thursday.Sushma Swaraj had then said a relief plane will take all passengers on their onward journey.